Discover the JOY OF PAINTING® like BOB ROSS®. FREE Mystic Mountain Brush Pack. Expand your artistic capabilities using a phenomenal collection of the world’s most realistic digital Natural-Media®. 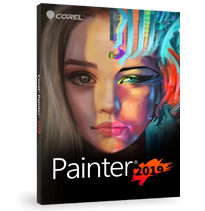 Accomplish natural, professional results with Painter® 2019 that will have people asking – Is it real paint or is it Painter? The affordable way to manage, adjust and perfect your photos!